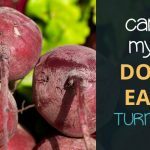 Dog owners often wonder whether fruits and vegetables are safe for a dog to eat, carrots being one of them. 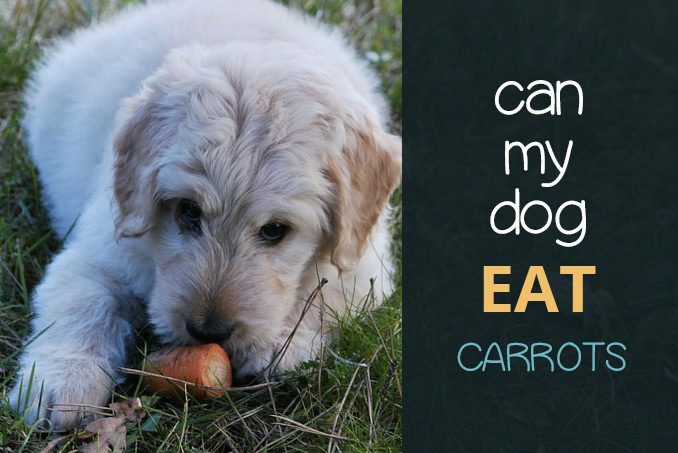 Is it safe that your dog can eat carrots? Yes, carrots can easily be added to Rover’s canine diet. Read on to find out why carrots are a healthy snack choice for not just you, but also for your pooch. 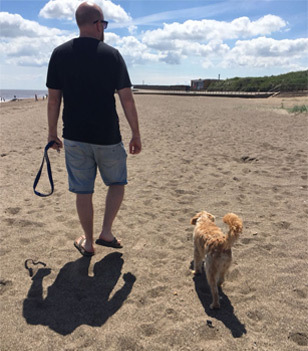 In many Western countries, overweight dogs and obesity is a common health issue amongst dogs. One of the causes for this prevalence is unhealthy diets. 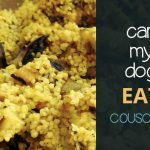 If you are concerned about your dog’s weight or want to make sure that your loyal friend stays at a healthy weight, you should look into the quality of their diet. 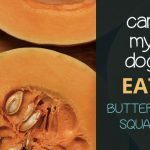 Certain fruits and vegetables (mashed potato, sweetcorn, melon) that are safe for dogs can be a healthier alternative to many store-bought doggy snacks. Carrots are an excellent example of a low-calorie vegetable that is suitable for dogs to eat. Carrots are also packed with nutrients that will do your dog good as it contains a range of vitamins, beta-carotene and dietary fibres. Beta-carotene is the nutrient that gives certain fruits and vegetables its orange colour. Naturally, beta-carotene can also be found in carrots. Beta-carotene is the chemical that will be converted into vitamin A. Vitamin A will help keep your dog’s skin and coat healthy. It protects against skin inflammations and supports a shinier coat. Carrots also contain the phytonutrients lycopene and lutein. 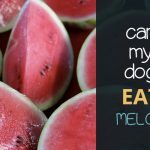 Lycopene and lutein protect your dog’s eyes from sun damage. The vitamin C that is found in carrots gives your dog’s immune system a boost. Consider carrots a natural vitamin supplement for dogs. The roughage in carrots comes from its dietary fibre content. Dietary fibre is needed in a dog’s diet to promote healthy digestion. Be careful when adding a fibrous nutrient source such as carrots though. Too much fibre in a dog’s diet can cause gastrointestinal issues. Carrots should only be an addition to your dog’s well-balanced diet or as an occasional snack. If you would like to use carrots in Fido’s regular meal, keep the proportion of carrots to no more than 10%. Protein should still remain the main source of dietary nutrients for dogs. As with any new food, only gradually introduce the new food into your dog’s diet. You can mix in some shredded carrots into their regular meal or offer a few bites as a treat. Let your dog’s digestive system adjust to the new food before it becomes a regular part of their meals. All parts of a carrot are safe for a dog to eat, even the green stems, and a dog can eat carrots both raw or cooked. This leaves you free to choose how you would like to prepare carrots for your dog to eat. There are only a few restrictions when preparing carrots for dogs. If you are cooking the carrot, do not season it and don’t cook it with a lot of oil. Many spices are not suitable for dogs. Garlic and onions are even toxic for your furry friend. Oily foods are also not recommended for dogs because it can cause gastrointestinal upset. If you would like to cook the carrot first, to make it softer, simply boil it for a few short minutes. Cooking a carrot too long will reduce the level of nutrients. A few dogs are capable of carefully chewing their food. However, most dogs do not chew their food. To avoid pieces of carrot creating blockages, cut up the carrot into bite size pieces before feeding to your dog. Some people recommend giving whole carrots to your dog to act as dental cleaners. If you would like to try this, keep watch over your dog while he is chewing. Take away the carrot if you are worried about creating blockages. 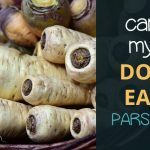 Carrots are slightly sweet which can make them a tasty treat for your dog. However, some dogs, just like kids, need a little more persuasion to eat their vegetables. The easiest way to add carrots to your dog’s diet is to mix it in with their regular meals. You can shred the carrots or cut it into small pieces to add to their bowl. Carrots don’t have an overpowering strong taste so the other ingredients in their food will still be the dominant flavours. Your dog might not even notice the difference. If you have tried to feed your dog carrots on its own and he wasn’t too eager, try giving the carrot extra flavour. You could dip the carrot in peanut butter, for example. First, test whether your dog is allergic to peanut butter. Also, only feed dogs peanut butter that is natural, free of additives and dairy-free. Smaller puppies are easier to train to eat new foods than older dogs. If you still have a puppy, make carrots a regular treat of choice for them. They will grow to love carrots. In conclusion, carrots are a safe and suitable addition to your dog’s diet. Carrots contain essential nutrients that will give your dog’s health a boost. Carrots also serve well as a low-calorie treat for your dog. If your dog is overweight or suffers from obesity then carrots can be used as part of their weight loss plan. As is recommended for any new foods, slowly introduce carrots to your dog’s diet. Let your dog get accustomed to the taste by offering little pieces throughout the day or simply mix into his bowl during meal time. 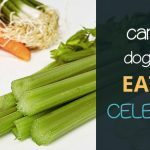 Both raw carrots and cooked carrots are safe for canines. How to feed your dog carrots is up to you.